Stewart Stevenson SNP MSP for Banffshire and Buchan Coast has welcomed new figures that show strong numbers for dental registration across Grampian, and is encouraging local people to ensure they attend regular check-ups with their dentist. Figures published by the Scottish Government show that 94,723 children and 310,004 adults in Grampian are now registered with a dentist. National figures show that almost 2 million more people across Scotland are now registered since the SNP came to office. “The SNP’s investment in our health service is paying dividends – with 404,727 people in Grampian now registered with a dentist and almost 2 million more people across Scotland registered since the Scottish Government came to office. “Regular attendance at a dentist is very important – and can help identify early signs of oral cancer – so I would urge everyone across Grampian to take the opportunity offered by increased access to an NHS dentist and make sure they take the time for regular check-ups. Stewart Stevenson, SNP MSP for Banffshire & Buchan Coast, has welcomed the news that the recently merged North East College will significantly benefit students at its Fraserburgh campus with the addition of a new centre for oil and gas. At Portfolio Questions today (Wednesday) Mr Stevenson questioned Education Secretary Angela Constance on the progress that North East Scotland College had made since its recent merger. In November 2013, Banff and Buchan College merged with Aberdeen College to form North East Scotland College, which has an Aberdeen and a Fraserburgh campus. Ms Constance said that the college had made excellent progress and added that as an early adopter of the ‘Developing Scotland’s Young Workforce’ programme it was at the forefront of developing new vocational pathways for school pupils focussed on STEM provision. Stewart Stevenson, SNP MSP for Banffshire & Buchan Coast, has welcomed the Scottish Government’s continuing investment in concessionary travel after new research showed that a total of 56,856 people in Aberdeenshire are benefiting from the scheme. The research from the Scottish Parliament Information Centre (SPICe) shows that 53,539 people over the age of 60 and 3317 disabled people in Aberdeenshire benefited from the policy. 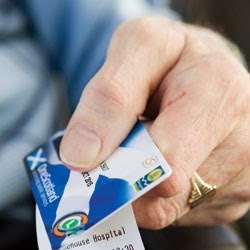 “The SNP Government’s deal to ensure that concessionary bus travel continues in coming years is hugely significant – and this new research shows just how important this investment is to the thousands of older and disabled people in Aberdeenshire who are benefiting from this scheme. “Concessionary bus travel gives people who might otherwise be restricted a greater sense of independence and helps them remain in contact with their friends and family. Funding for the scheme has increased every year since its introduction and with the scheme helping older people, disabled people – and now injured armed services veterans - to make almost 147 million journeys last year, it is vital the scheme continues. Last week it was announced that a deal had been struck between Transport Scotland and the bus industry which will see £414m invested over the next two years to ensure the scheme continues to provide free bus travels for over 60s, injured service veterans and people with disabilities. Stewart Stevenson, SNP MSP for Banffshire & Buchan Coast, is delighted that Buckie based Hanover Social Club Constitution has secured £9,735 from Awards for All Scotland. The community organisation which is based in Hanover Court will use the funding to upgrade the sheltered housing garden area that they run, and to organise a bus outing and Christmas party. Hanover Social Club Constitution was established in August 2014, and it is responsible for organising social activities and events for the Hanover sheltered housing development. Awards For All Scotland is a partnership by sportscotland and Big Lottery Fund, and gives groups a chance to apply for a grant of between £500 and £10,000 for projects that aim to help improve local communities and the lives of people most in need. Stewart Stevenson, SNP MSP for Banffshire & Buchan Coast, has highlighted the plight of local businesses in Peterhead following the disastrous fire at the Northbay Pelagic processing factory last weekend. At Topical Questions in the Scottish Parliament today (Tuesday) Rural Affairs Secretary Richard Lochhead confirmed that a multi-agency task force will convene in Aberdeen this Friday to establish the level of support required from the public sector. Mr Stevenson asked whether any contact had been made with other businesses in Peterhead and beyond to establish the knock on effects of the fire and what could be done to assist in the aftermath. Mr Lochhead also thanked other local pelagic businesses who have been in contact with Northbay to offer support. He also credited the local community for rallying around the staff, Northbay Pelagic and all the other businesses affected. “I very much welcome the formation of a multi-agency taskforce so that everything possible can be done to help the company, employees and other local businesses that have been devastated by this fire. “This announcement from the Scottish Government will be welcomed by patients and NHS staff in Aberdeenshire and Moray and is another demonstration of the SNP’s commitment to our health service paying dividends. “Tackling delayed discharges is a key priority for the NHS – helping not only the individual patients affected who will be able to receive care at home or in a homely setting, but also easing pressure on the system as a whole. Today’s funding announcement is a welcome step in ensuring we can tackle this issue and provide the best possible care. “The SNP’s record on the NHS is second to none – delivering real results on waiting times and staff numbers, introducing free prescriptions for all and now taking serious action to tackle the problem of delayed discharge. Stewart Stevenson, SNP MSP for Banffshire & Buchan Coast, is delighted that Scotland received a significant increase in North American tourists in 2014. The latest figures show that the number of North American visitors to Scotland rose by 32 per cent in the year leading up to the end of September 2014, generating a 35 per cent growth in expenditure. “I very much welcome the latest results on North American tourists in Scotland over 2014 which highlight the fantastic year that Scotland had. With major events such as the Ryder Cup, Homecoming 2014 and of course the Commonwealth Games, Scotland was a very attractive holiday destination last year and I hope that these results will be built on for many years to come. There were 538,000 visits to Scotland from North American tourists in the year leading up to September 2014, compared to 408,000 in the previous year, while spending increased to £1.8 billion in the year to September 2014, compared to the previous year’s £1.6 billion level. Stewart Stevenson, MSP for Banffshire & Buchan Coast, has paid tribute to Buckie councillor Joe McKay following news that he passed away on Monday. "Joe McKay was a real community man and a became a distinguished public servant over his time on Moray Council. Whenever I met Joe, I was always brought up to date with local issues. A genuine character who I shall miss. He put his ward first - and as Moray's oldest serving councillor, he was an important voice for older people in the community. "News of his passing is very sad indeed and my thoughts are with his family at this time." Stewart Stevenson SNP MSP for Banffshire and Buchan Coast has welcomed the announcement of an additional £15.2m in funding for NHS Grampian as a clear demonstration of the SNP commitment to ensure that NHS Scotland has the resources that it needs. Health Secretary Shona Robison made the announcement today (Monday) that NHS Grampian will receive an extra £15.2m in 2015/16 to help with the rising costs facing the NHS. Included within this extra funding is £3.7m to address pressures such as the rising cost of new drugs. In total the uplift for NHS Grampian for next year now stands at £49.1m. “This announcement of an extra £15.2m for NHS Grampian will be welcome news for patients throughout the area. In all it brings the total amount of additional funding for NHS Grampian announced for next year to £49.1m. “Advances in technology and the development of new medicines make an incredible difference to the treatment of patients, but often there are rising costs that come with such developments. The increased funding will help to address those increased pressures and ensure that patients across Banffshire and Buchan Coast receive the best healthcare possible. “The SNP is the only party that can be trusted to protect the NHS. Yesterday (Sunday) Ed Miliband highlighted that, like Scottish Labour leader Jim Murphy, he is prepared to continue the public spending cuts we have suffered with the Tories. We already know Scottish Labour’s new Chief of Staff is in favour of privatising the NHS to deliver £20bn of cuts to public spending. The funding boost for 2015/16 will ensure that all territorial health boards will receive uplifts next year which are at least one per cent above the rate of inflation. NHS Grampian will receive a 6 per cent increase in their budget compared to last year – the largest overall annual increase of any mainland board. North-east Tory MSP Nanette Milne suffered embarrassment today when it was revealed her call for “early work to commence to look into a feasibility study to dual the A90” made yesterday was, in fact, several months too late. Statutory body NESTRANS – the North East of Scotland Transport Partnership – which is chaired by a member of the Tory-led administration of Aberdeenshire Council has already started the process of a feasibility study looking at transport links from Aberdeen into Buchan. SNP councillors on Aberdeenshire Council’s Infrastructure Services Committee secured cross-party support for the feasibility study in 2013 and it then became council policy to press NESTRANS to take action and include it in their strategic plan. This culminated in a client group meeting in July 2014 consisting of NESTRANS, Transport Scotland, Aberdeen City Council and Tory-led Aberdeenshire Council, which issued a tender for the work involved in September, with consultants appointed to start work in November 2014. The feasibility study is expected to report later in 2015. “In their rush to try to make political capital out of the issue, the Tories have overlooked an important detail – work on a feasibility study into transport links from Aberdeen into Buchan actually started last year. “NESTRANS is a statutory body and has responsibility for producing the strategic transport plan for the North-east. If NESTRANS don’t put it in their strategic plan, then it’s indicative that NESTRANS don’t regard it as a priority. It tells us something about the priorities of the Tory-led administration of Aberdeenshire Council that it took SNP councillors to push for this at a local level. Stewart Stevenson, SNP MSP for Banffshire & Buchan Coast, will sponsor an exhibition from the Scottish Traditional Boat Festival set to go on display in the Scottish Parliament next week. The exhibition will feature details of the Boat Festival’s latest project which is to recreate and record the construction of a traditional 26ft wooden salmon coble, once essential to Scotland’s commercial salmon fishing industry which collapsed in the 1990s. 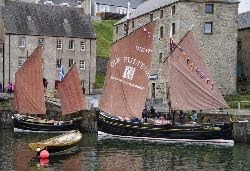 The Scottish Traditional Boat Festival is held each summer in Portsoy and is a popular highlight in the North East calendar. As well as the summer event, organisers have also put a lot of work into the promotion of traditional boat building. “I am delighted to sponsor this exhibition from the Scottish Traditional Boat Festival. The fantastic event that they organise every year in Portsoy draws thousands to the North east and is always exceptionally done, showcasing so much of what the area has to offer. “The organisation should also be commended for their work in promoting traditional boatbuilding skills and the exhibition will detail their project to raise awareness of the salmon fishing industry by recreating and recording the construction of a traditional wooden salmon coble. The exhibition in the Scottish Parliament will highlight the heritage aspects of the Scottish Traditional Boat Festival, their progress in the coble build and the organisation’s plans for the future. Banffshire & Buchan Coast SNP MSP Stewart Stevenson has backed calls for urgent reform of the taxation regime for the North Sea oil and gas sector. Scottish Energy Minister Fergus Minister Fergus Ewing published a new report proposes fiscal changes to support investment, encourage exploration and ensure that the North Sea is a competitive investment location, as well as setting out the Scottish Government’s work to support the sector. Introduction of an exploration tax credit to help increase levels of exploration and sustain future production. “The oil and gas industry is vital to the North-east and is one of the mainstays of our local economy. “The oil and gas industry is a strong success story for Scotland and will continue to be. However, because of the mismanagement of oil and gas fiscal policy by the UK Government, challenges remain and we must tackle the on-going cost pressures and the fall in oil prices head on. “That is why today the Scottish Government is publishing a report setting out a range of taxation changes and we will now consult closely with industry on these proposals. “Our proposed fiscal changes will not only boost the economy but analysis based on industry data shows that they will support thousands of jobs. 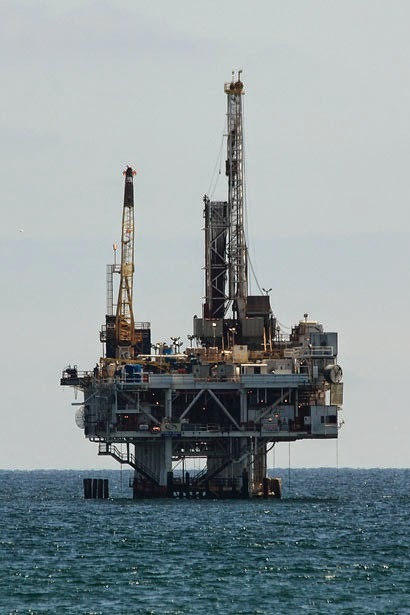 “We are calling for an investment allowance – as recommended previously by the Scottish Government in 2011 and Scotland’s Oil and Gas Expert Commission last year. This will simplify the fiscal regime and potentially boost investment by between £20 billion and £37 billion – supporting up to 26,000 jobs annually. “Last year the UK Government announced a 2 per cent reduction of the Supplementary Charge rate – this reduction doesn’t go far enough. We are calling on the UK Government to provide a clear timetable to fully reverse the increase brought in in 2011. That will provide a strong signal for investors that the North Sea is open for business. Stewart Stevenson, SNP MSP for Banffshire & Buchan Coast, has welcomed a £896,326 funding boost for a ground breaking project based in HMP and YOI Grampian in Peterhead today (Friday). The funding from the Big Lottery Fund has been given to Station House Media Unit (shmu) based in Aberdeen to develop a Creative Media Unit within the Peterhead prison over the next five years, offering prisoners the chance to participate in a radio station, a magazine production suite, a music production programme, and train in filmmaking. The project will work with all sections of the prison population including male and female prisoners and young offenders aged 16-30, with the primary aim of reducing offending rates when they are released back into the community. “I am absolutely delighted that this project has been given this substantial grant from the Big Lottery Fund’s Investing in Communities: Life Transitions branch. “This project is innovative and has been very well constructed for the benefit of the prisoners and young offenders at HMP and YOI Grampian, and the communities they will re-enter when they complete their sentence. “This is fantastic news and will enable us to refine the work we have already undertaken in the prison and develop it further over a reasonable time period. We have a proven track record of using a range of media platforms in a number of communities to produce life changing results. The project has been developed as a result of extensive research and full consultation with a range of agencies, together with input from serving prisoners. The shmu grant is one of 11 projects sharing in £5,717,872 from the Big Lottery Fund’s Investing in Communities programme announced today (Friday). It follows on from current and previous projects led by shmu in the criminal justice sector, including ADJUST (Aberdeen Delivering Joined Up Service Transitions) an Aberdeen City based multi-agency approach to reducing re-offending, funded by the Robertson Trust. Stewart Stevenson, SNP MSP for Banffshire & Buchan Coast, has encouraged people to use what is readily available to them and get on their feet if they want to become more active. “We really have to invest in changing the hearts and minds of the people of Scotland. 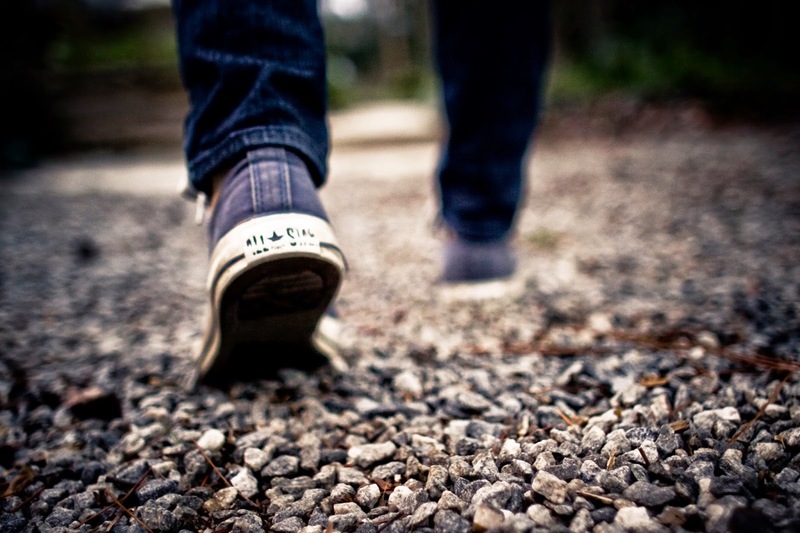 Almost everybody has the equipment to engage in walking and they have it right now. “If we were to think about buying shoes that were suitable for walking for a million people in Scotland, how much would that cost? It would cost less than the annual active travel budget. Mr Stevenson added that it was important to invest in infrastructure and that this should continue but that attitudes of people in Scotland had to change before more people engaged in more active ways of travelling. Stewart Stevenson, SNP MSP for Banffshire & Buchan Coast, has welcomed the announcement today (Wednesday) that the number of specialist NHS nurses working for patients with Motor Neurone Disease (MND) in Scotland is set to double. First Minister Nicola Sturgeon announced that an extra £2.5 million will be invested in specialist nursing and care, with the first allocation of £700,000 going towards nursing care and support for those with MND. As part of the £2.5 million package of investment in improving specialist nursing provision, the number of specialist MND nurses in Scotland will increase from seven to fourteen to provide greater support to people with the condition. The announcement has been welcomed by UK charity the MND Association and also by MND Scotland. The Scottish Government will be engaging with patient groups through a short review of specialist nursing provision to determine where the remaining funding will be best targeted. Banffshire & Buchan Coast MSP Stewart Stevenson has welcomed the beginning of the Latvian presidency of the Council of the European Union – and has described 2015 as the year in which small nations are set to punch above their weight in the EU. “I warmly welcome the presidency of Latvia, a nation with which this part of Scotland in particular has strong links.